I was recently reading a study conducted by the Barna Group and was surprised to read that Americans desire more bible reading. Fifty-eight percent of adults wish they read the bible more often, but most say their bible reading is about the same as it was a year ago. (Barna Trends 2018) This is not a big surprise though. Think about it. How often are goals set at the first of each new year and when you come to the next year you find yourself writing the same goals all over again because you did not accomplish them? We may not be able to change this overnight, but I believe we can begin working on this very thing with our children now. 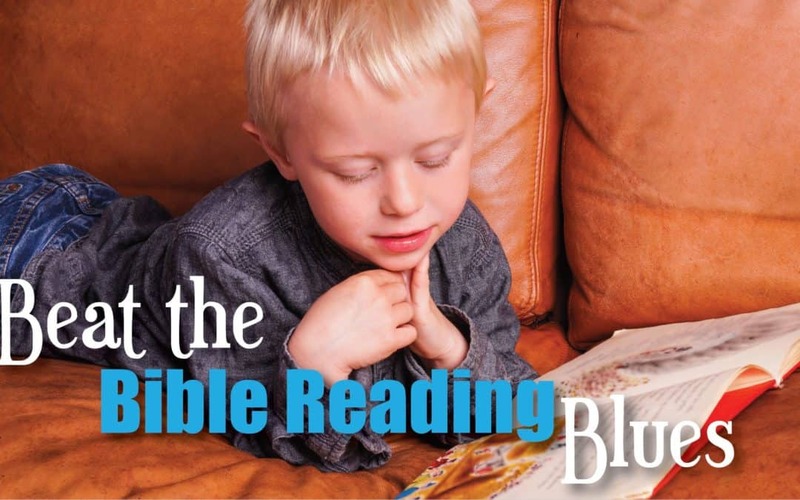 If we begin with kids, the idea is they will grow up continuing to read their bibles. But how do we get kids to read this old, outdated, archaic, boring book? Wait just a minute! That’s what kids think of the bible but it’s all wrong! 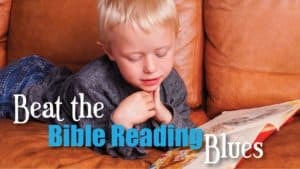 For starters, it may help to read a bible version that reads more like a story, bringing the bible to life in a kids mind. When it reads like a story, it begins to make sense and they enjoy it. Have you ever read the story of Abimelech in Judges 9? I just taught on this and had so much fun with it because the whole story is dripping with sarcasm. When kids see and hear the sarcasm, the people become real to them and the story itself is humorous and interesting. Plus, they read about people hiding out in towers but the enemy burns it down and they die. It’s like movies they see and enjoy. 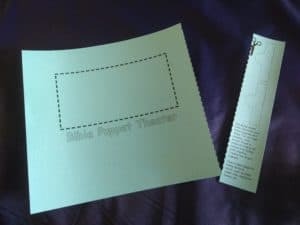 If we can help kids see that the bible is enjoyable like the movies they watch, wouldn’t it be awesome to see them desiring to read more scripture? Remember, the goal is to get kids picking up a bible to read and WANTING to read it because they enjoy it. If they enjoy it, they are more likely to stick with it, remember it and share it with others! Remember the scene from “Ferris Bueller’s Day off?” The scene with the blah teacher? 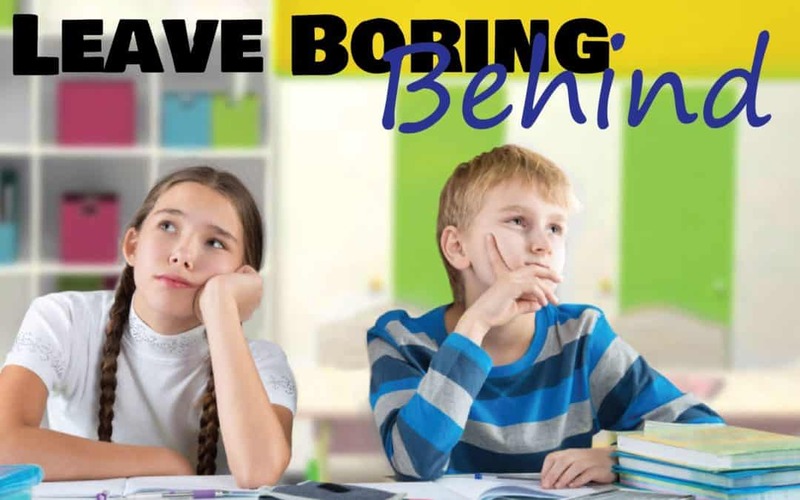 Have you ever sat through a class or training like this where the speaker was unbelievably boring? A class where you wondered if the presenter even cared about the topic? Our kids see right through us! If we are not excited, passionate about sharing God’s word with them, they are not going to get excited either. Why would they? 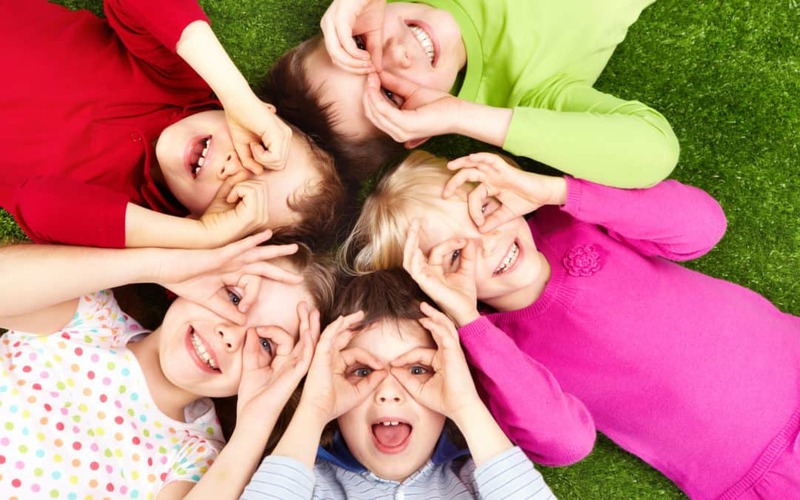 We know that a child’s attention span is short and it will be even shorter if they are bored out of their minds. Take a moment to reflect on what kind of teacher you are. Be honest with yourself. Do you have a passion for God’s word? Does it bring a smile and excitement to your face when you talk about it? Do you get energized when teaching children? If you answered “no” to any of these, you may need to serve in another area. Teaching children may not be your gift. At the very least, you need to change your presentation. Now, if you truly have a passion for God’s word and a desire to teach His message to children, but it doesn’t show, there are things you can do right now to fix this. Number 1 seems obvious, but is often overlooked. Know the lesson and find the thrilling parts, the parts you now the kids will love. For example, in the story of Adam and Eve, they are going to go crazy when you tell them they were naked in the garden or that a serpent talked to them. In Jonah, they will think it is gross but interesting when you share how nasty and fishy it must have smelled in the belly of the fish. You get the idea. Find what is intriguing so you can engage the kids. Smile when you talk! If this doesn’t come naturally to you, practice in a mirror. Practice while you drive. Practice, practice, practice until it becomes natural. “It seems that the simple act of a physical smile, authentic or not, tricks your brain into thinking you’re actually happy.” (Huff Post) And we want all of our kids to be happy when learing about their amazing, powerful God. Read with inflections and movement. Raise and lower your voice. Use your eyebrows. Use your hands. If this is not natural to you, it will feel weird at first, but keep exagerating your tones and motions and eventually, it will be. In theater, students are taught to exaggerate their movement so people in the audience can tell what they are doing up on stage. It’s the same idea. We want kids to see and engage. Engage the class. As you are sharing God’s word, a story from scripture, ask questions. Engage the hearts and minds of the class. Getting them involved gets them excited. More than anything else, as a children’s bible class teacher, you must have a passion for God’s word and sharing God’s word with children! Passion brings energy and it is contagious. What could be better than a class full of kids with a contagious passion for Christ? Disappearing Sin! Was Jesus really the final sacrifice for our sins? Did he really take on all of our sin? These are big questions and often a difficult concept for a child to wrap his mind around. Help kids make sense of this with a very simple object lesson, especially perfect for the visual learner (which is over half the population). If you haven’t read it, you may go back and read my article about visual learners and teaching these children most effectively. You can read about it here. To sum it up, most of our children are visual learners, meaning, they learn by seeing. This may be through pictures, video, puppets, objects or object lessons. Get creative with your class and they will not only love you for it, they will remember more of what you taught them than ever before. Today I will share one of my favorite object lessons about Jesus taking on our sins. Supplies: A plate, a coin, a candle, matches (or lighter), cup of colored water (any color can be used), and a clear drinking glass. Show the penny to everyone telling them that the penny represents us. Place the penny on the plate. off to a side. Then, take the candle that represents Christ and place it in the middle of the plate. Take the clear glass and place it over the candle onto the plate. Within seconds the water will begin to draw up inside the glass, off the penny (us). Wow! Jesus took ALL our sin at the cross and continues to this day, forgiving us. What an amazing, loving Savior we have. I have done this with kindergarten through fifth grades and they all loved it so much they begged to do it over and over again! It is a simple, but highly effective visual for showing our kids how Jesus took on all our sins that day at the cross. That means every sin was no on him. Can you imagine how painful this was for him? But he did it because he loves us and wants us to be with him one day. This visual will be stuck in their heads for all time and one day it just may click not to take Jesus on the cross for granted. 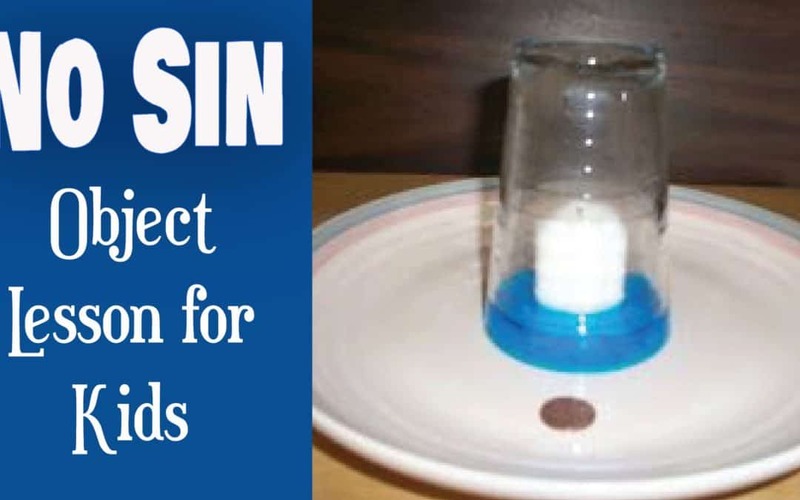 If you liked this, you may enjoy another experiment for kids. Take a peek. Or download a 13-Week Series in Bible Science, using science experiments to impress God’s word on our children’s hearts. Do you ever find yourself praying your super hyper, obviously ADHD child, does not make it to class? I mean, you want to teach all of the kids, but it is so much easier when that one child is gone. The other kids actually get a chance to speak, they hear you and learn when your hyper, misbehaving child is absent. Then you feel a little guilty, right? What if I told you that I have a solution? It’s not full proof, but it works amazingly well most of the time! About 10% of the general population are kinesthetic learners. They prefer to learn by getting their body into action and moving around. They are “hands-on” types who prefer doing to talking. (Stephan Kesting, Apr 2012) I have found that my hyper, seemingly undisciplined students respond well when I teach for the kinesthetic learner. I have also found that my other students love learning this way too so it turns out to be a win-win-win! Of course, sometimes our classes get a little loud, but they love it and they learn. Kinesthetic learners need to be hands-on. They need movement. Asking these children to sit in their seat and listen is painful for them. They know better, but cannot yet control themselves enough to do this. They are young and growing. As teachers, we need to show a lot of love and patience, and get creative in our teaching style! Read: “God sent Moses to free the Israelites from Egypt” and instruct kids to make the letter “M” for Moses. Then reinforce by asking, “Who did God send to free His people?” Moses. 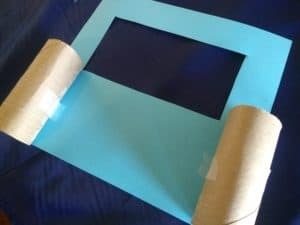 Read: “Moses parted the Red Sea so the Israelites could walk across on dry ground” and instruct the kids to make two sides of water standing tall leaving a path in the middle for the Israelites. Reinforce by asking, “Did they sink in the wet ground?” No, because it was dry land. Why does this work? All of the kids have something in their hands and are moving. They are forming something and associated your words to what they are doing. 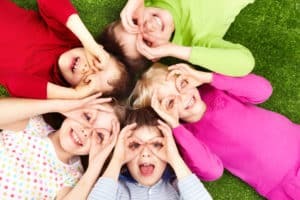 Have you ever noticed that your ADHD kids are super smart, they are just wild? This focuses their energy in a guided fashion so all of the kids can learn. Another suggestion for teaching kinesthetic learners is through movement. 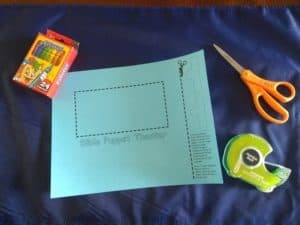 Get the kids up out of their seats and create movements for kids to do as you go through the bible story. For instance, as you talk about the waters parting, they use their whole bodies as they spread their arms wide to represent the waters parting. March them through an imaginary Red Sea. Be sure to ask reinforcing questions as you go to make sure they are not simply doing the movements, but learning as well. You do need space for some of this. This is something I do quite regularly when teaching kids the books of the bible. We sing the Old and New Testament books of the bible songs. Then, I pull a card of the hat (all books of the bible are listed) and read it aloud. If the book is found in the Old Testament, there is an action to do such as hop across the room. If it is in the New Testament, they waddle across the room. We go back and forth, book to book, learning which part of the bible book are found. I change up the actions each week so they don’t get boring. Kids love to give you suggestions too! You can do this with questions about the lesson too. They love it. Don’t let your hyper kiddo’s make you cringe and dread teaching each week. You may find yourself sitting between talkers, but overall, our kids can and will learn well. Instead of reminding kids to sit down repeatedly, teach in a manner they respond to, learn well and enjoy. You will be surprised at what they learn, retain and how much they love their bible class! Learning stinks, right? Most kids think they do not enjoy learning, they do not want to go to school much less bible class. Like most of us though, they love learning when the love how they are learning. They learn best when they are having so much fun they do not realize they are learning. That’s the trick! As teachers and parents of God’s word, we have our work cut out for us. We must get creative in our teaching. 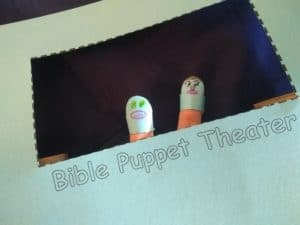 Reach all three major learning styles with one simple activity- a bible puppet theater. First, you share the lesson using your finger puppets to tell the story. 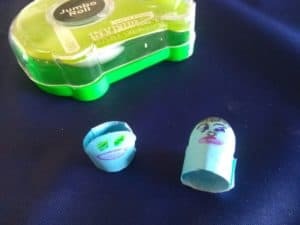 Your finger puppet may be the student and you, the teacher, talk to the puppet. You tell the puppet the bible story while asking questions all along the way. Your finger puppet answers with amazement. And when the puppet does not know the answer, it simply asks the class! Get them involved. You reach the visual learner as they watch the puppets in action. The auditory learner hears the story and gets to answer some questions along the way. The kinesthetic learner is about to learn the way they do best now. You’ve been an example to this theater, it’s time to create theirs. It’s so easy! 1. Cut along all the dotted lines. This will separate the puppets from the stage and it gives your theater its windows. 3. Now, decorate the finger puppets. 5. Measure around kids fingers and tape to fit. 6. And there you have it! 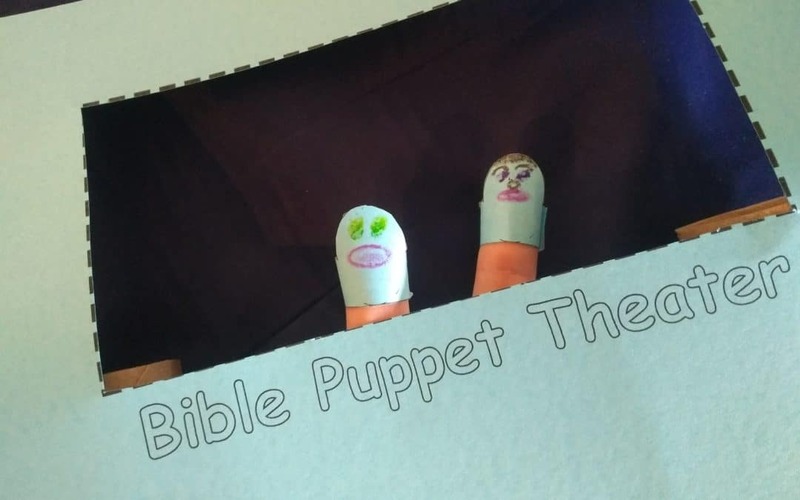 A finger puppet theater. 7. Let kids partner up to present the lesson. They decide who is the finger teacher and finger student. God’s word is exciting and so very important; so let’s make learning about Him something our kids look forward to. And let’s try to create something with them they won’t leave on the seats at church or toss the minute they get home. Our goal is to keep God in their thoughts. After all, they play “superhero” make believe with each other; so why not reenacting bible stories? Yikes! I am daydreaming about food while the teacher is talking about something I’m supposed to learn. What is he talking about? Focus, focus, focus. No matter how hard I try, I cannot seem to stay focused. Have you ever found yourself zoning out in a class? Of course you have! We all do this at one time or another. We all zone out sometimes, but kids zone out ALL the time if their little minds are not engaged. They do not yet have the self discipline to force themselves to listen when they are not at all interested. So, when you see eyes wondering around the room, kids fidgeting in their seats, or a couple messing with each other, you know you have lost them. They are in another world now. As teachers (and parents), it is important we remember kids are kids. They are growing and learning. It is our job to help them. Telling them to focus may help occasionally, but it is not necessarily the answer. We need to get creative finding ways to engage their young minds so they naturally focus. This prepares them for what they should be doing so that as they get older, they have practiced and more easily pay attention. But for now, we have to train them. The first step is knowing what type of learner we are teaching. There are three main learning styles. Last week we covered the auditory learner. (Read about it here.) Next week we will talk about the kinesthetic learner. Today, it is all about the visual learner. Studies convey that approximately 65 percent of the population are visual learners. (Jeni Sebora, Herald Journal Publishing 2008) That’s over half the population making this learning style extremely important! 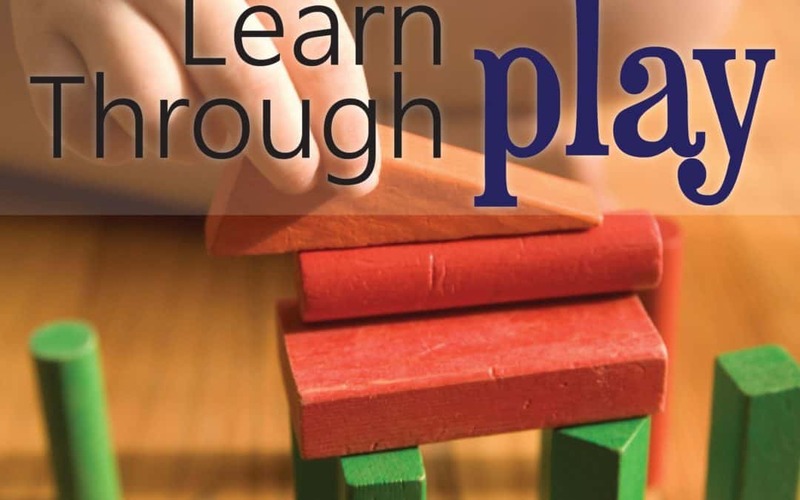 The most basic way to stimulate the mind of a visual learner is simply with pictures. Although any old picture is better than nothing, you really need bright, vibrant, current day pictures that kids respond to. If you are showing them dated pictures, no matter how perfect you think they are, please try again. Think about what they are looking at these days. Get online and look at what picture books are popular. This is a good start. As you are telling a story, give them something appealing to look at. They focus on the picture and relate the words you say to that. Take note: Keep things moving. Staying on one picture too long does not work either. Their attention span is short… very short! So keep the pictures changing. Stimulate the mind with moving pictures. Short videos, approximately three to five minutes are fantastic. Again, their attention spans are short so a video longer than five minutes is risky. There are so many options available these days with YouTube, GodVine and Vimeo. (Make sure they are approved to show to groups though. Copyright laws can get tricky.) Use video before a lesson to give kids an overall picture of the lesson before discussing in detail or as a review after a lesson. I do this both ways. Puppet shows and skits, when done well, are great at capturing the visual learners attention! This works especially well when the puppets talk to the kids and allow children to respond. 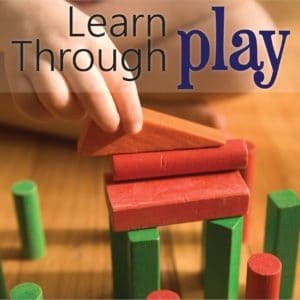 These methods are “live” so they perk children’s interest. The fluctuation in a puppet’s or character’s voice draws in interest too. And I truly believe vibrant colors and interesting characters are the most powerful. You get the idea. A strong visual gets kids attention and leaves a lasting impression, helping them to retain God’s word. Object lessons are powerful too, especially for the older kiddos. Letting them see a glass of water become dirty with sin and then perfectly clean again because of Christ paints a strong picture of forgiveness. When you are actively doing something in front them, they watch attentively, waiting to see what will happen next. The suspense is almost more than they can handle sometimes, but they are most assuredly focused! This is so much fun once you get the hang of it! When it’s interesting the visual learners will have their eyes glued on what you show them. Better yet, they will engage and retain so much more of what you teach when taught this way. You will be amazed! I know I am all the time! It is incredibly rewarding and encourages all of us teachers to keep going!